In our line of work, safety is of utmost importance, and we take it very seriously. In fact, we have been awarded accreditation from Alcumus SafeContractor for achieving excellence in health and safety in the work place. So, what is SafeContractor and what does this accreditation mean for Fueltek? The company started life as a bespoke project for a property management client, however soon began to grow as other clients showed interest in the services, identifying the potential for a new standardised system. By 2003, the service had been developed and rebranded as SafeContractor. Today, the company provide services which help clients to manage contractor health and safety obligations, holding contractors to extremely high standards. In order to achieve accreditation, a company must submit details and supporting evidence of practices to a SafeContractor auditor. The auditor can then award the company with the accreditation or work with them in order to ensure they meet the standards. The standards are extremely high and cover core elements such as health and safety policies, risk assessment and first aid. Due to the nature of our work as providers of fuel management systems, there are also additional specific requirements associated with our industry. 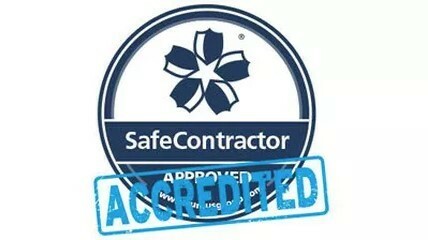 SafeContractor has a high level of specialist knowledge which comes from the 10 years’ experience delivering accreditation services. When a company signs up to be audited by SafeContractor, this is carried out by the Audit Services Team which is made up of health and safety professionals who hold technical qualifications and industry memberships. SafeContractor has an impressive client list from industries including construction, manufacturing, retail and transport. These clients range from SME’s to FTSE 100 companies with household names such as Unilever, Debenhams, Virgin Trains and Vodafone. Now, Fueltek can be added to the list as we join the number of clients who hold accreditation from SafeContractor. We are proud to be able to announce that we have been awarded this accreditation as it demonstrates the extremely high standards we hold ourselves to, not just in the way we approach health and safety in the workplace, but in all areas of our business. We work in an ISO 9001 environment which means that we have demonstrated our ability to consistently provide products and services that meet customer and regulatory requirements. Our high standards help to set us apart and we are now able to add the SafeContractor accreditation to this particularly high standard. Taking these standards seriously means that we are able to deliver a superior service as our clients know that we only operate under strict health and safety regulations. We would be more than happy to discuss this with you if you have any questions or would like to find out more about our services and fuel monitoring systems. You can contact us by calling 01254 291391, emailing support@fueltek.co.uk or by filling out our online contact form. Please do continue to check our blog where you will find all our latest news and updates regarding our services and products.